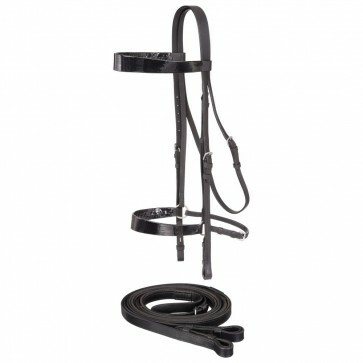 Draft Horse Saddle Seat Bridle. Elegant styling with choice quality leather to fit draft horses. Complete with fancy colored browband and caveson.